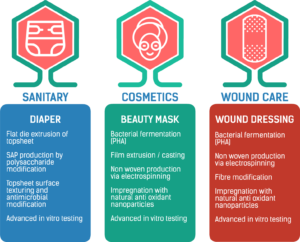 PolyBioSkin develops biopolymers for high-demand skin-contact applications – European Bioplastics e.V. Castelldefels, Spain, 17 July 2017 – The EU-funded PolyBioSkin project commenced work on the development of biopolymers for high-demand skin-contact applications. 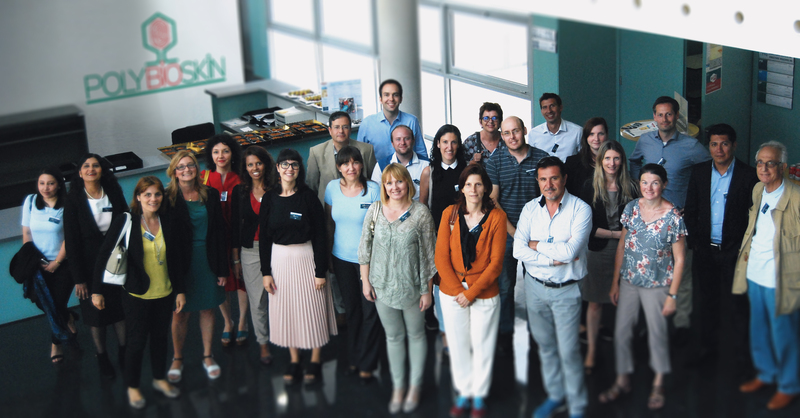 At the end of June 2017, the project consortium, comprising of 12 partners, including European Bioplastics (EUBP), met in Castelldefels in Spain for the kick-off meeting hosted by project coordinator IRIS to discuss how new generation bio-based polymers can help advance sustainable alternatives in sanitary, cosmetic, and biomedical applications. The skin is the largest organ in the human body and it is our first natural barrier against external agents. Cosmetics, personal care, sanitary, and biomedical products are designed for direct contact with and protection of the skin. These products represent a very large market, ranging from low-cost to high-performance products, with a global market value of over USD 47 billion. Today, most of these skin-contact products are still made from fossil-based polymers and are non-recyclable and non-biodegradable. The Union of Concerned Scientists estimates that about 18 billion diapers end up in landfills each year, which poses great environmental concerns. In the light of increased competition, a growing ecological awareness, and changing consumer demands, brands are looking for more sustainable product options with a reduced environmental footprint. PolyBioSkin aims at leveraging the enormous untapped potential of the use of bio-based polymers in skin-contact product applications by advancing the research and development towards the industrial exploitation of renewable, sustainably-sourced bio-based polymers that offer unprecedented antimicrobial, antioxidant, absorbency, and skin compatibility properties and functionalities for skin protection and sustainability in three strategic target markets: sanitary, cosmetic and biomedical. PolyBioSkin will focus on two main classes of bio-based polymers: (a) polysaccharides (cellulose, starch and chitin/chitosan), which the project aims to derive from waste feedstocks, and which are chosen for their biodegradability and peculiar functional properties, such as absorbency and anti-infectivity, and (b) biopolyesters, such as polylactic acid (PLA) and polyhydroxyalkanoates (PHAs), which are 100% based on renewable resources and also biodegradable. a nanostructured biocompatible non-woven tissue to be used in wound dressings. The developed products aim to have a content of renewable materials of 90%, feature a reduced environmental footprint, and provide improved end-of-life options. An LCA and LCCA will be performed to demonstrate the products’ environmental and economic sustainability, and compliance with safety and regulatory requirements will be demonstrated. The European bioeconomy sectors are worth EUR 2.2 trillion in annual turnover and account for around 20 million jobs, which is 9% of the EU’s workforce. Bioplastics have been designated a lead market by the European Commission, expected to grow at CAGRs of 17.5% or more between 2016-2020. The PolyBioSkin consortium combines the expertise of twelve partners from seven European countries, including five partners from academia and technology institutes: Consorzio Inter Universitario Scienza e tecnologia dei Materiali (INSTM, Italy), the University of Westminster (UK), Association pour la recherche et le developpement des methodes et processus industriels (ARMINES, France), Tehnoloski Fakultet Novi Sad (Serbia) and University of Gent (Belgium); six industry participants (SMEs): Innovació i Recerca Sostenible (IRIS, Spain, project coordinator), Bioinicia (Spain), Fibroline (France), Texol (Italy), Mavi Sud (Italy) and Exergy (UK), as well as the European Bioplastics association (Germany). 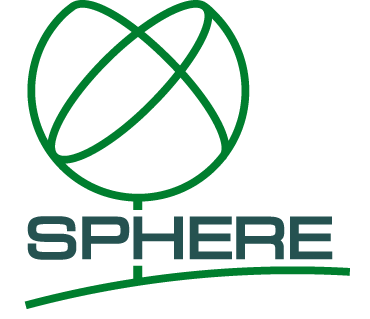 The project receives funding from the Bio Based Industries Joint Undertaking (BBI JU) under the European Union’s Horizon 2020 research and innovation programme under grant agreement No. 745839. BBI JU is a €3.7 billion Public-Private-Partnership (PPP) between the EU and the Bio-based Industries Consortium (BIC). The BBI JU is dedicated to realising the European bioeconomy potential, turning biological residues and wastes into greener everyday products through innovative technologies and biorefineries. This figure inincludes the global market values 2014 for baby diapers, facial masks, and wound dressings. ABC News, The Diaper Debate, 26 May 2005. European Commission’s 2016 report on the bioeconomy in Europe. Energy and Gold, Global bioplastics market predicted to grow 350%, 10 March 2016.